As hot summer days and nights set in, I find myself more and more, wanting to stay out of the kitchen. I still enjoy having to figure out what to make for dinner, but when the days are warmer and longer, you have to be a bit more inventive of what you feed yourself and your loved ones. My favorite thing right now is playing with different salad ideas, espeically protein packed ones. 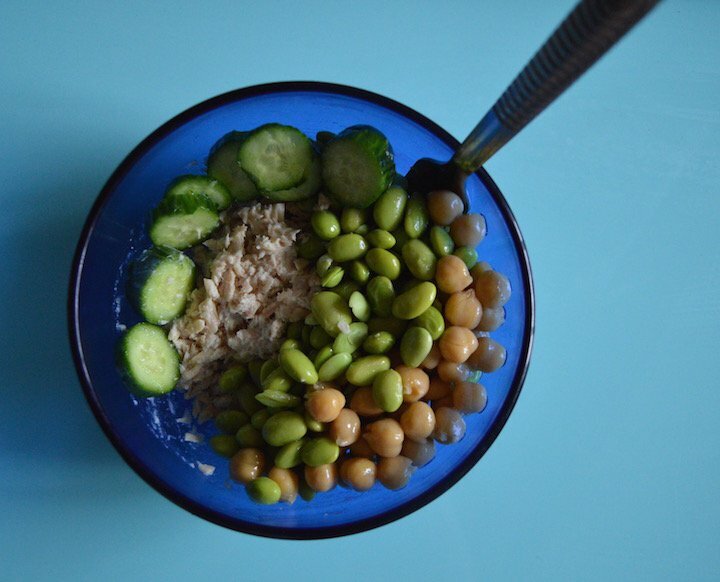 I created an easy, packed protein salad that is a perfect lunch all summer long. I made enough to pack him for the office, and to enjoy at home, myself. Warning, this lunch will become addictive. Besides the delicious taste, and added protein benefits making it a healthy idea and option, one more thing that makes this lunch great is the affordability. 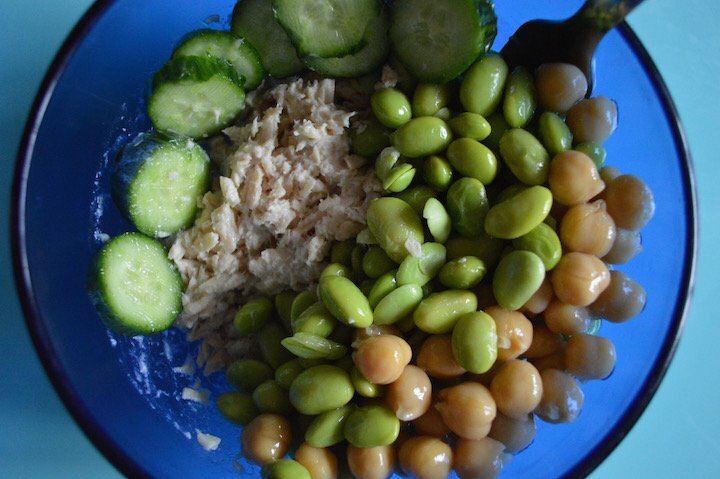 All you need is a can of tuna, chickpeas, edamame, and cucumber. 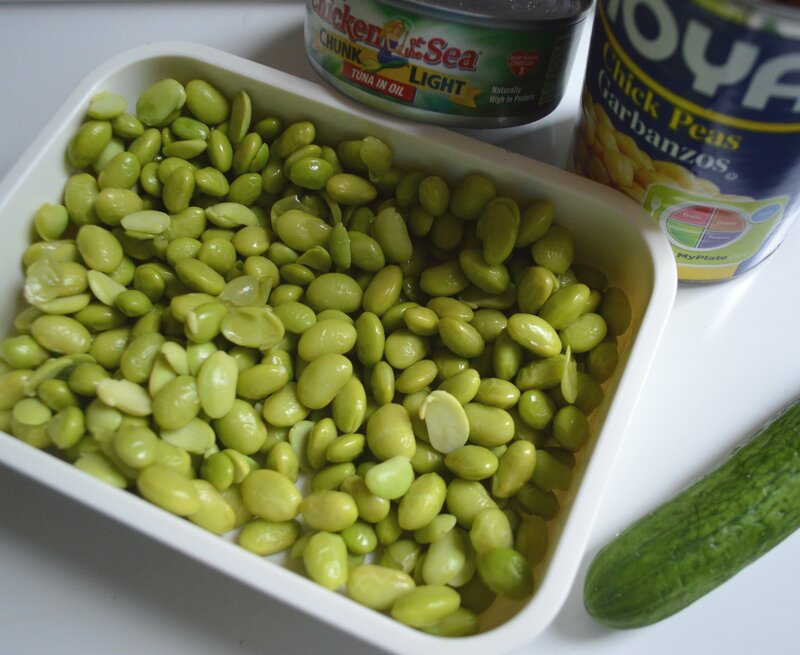 Add some seasoning, and you have yourself a protein packed punch for under $5.00.